This post is sponsored by Silhouette. In any case, I thought it would be fun to do something similar in the Princess' bedroom. First things first, I needed some fabric flowers. And I wanted them to coordinate with her room. Luckily I have some scraps of fabric left from making her bed pillows. But then I had to figure out how I was going to make the flowers. Luckily, Silhouette sent me some of their fabric interfacing to try...so I pulled it out and followed the directions on the package. Then I just used my Silhouette machine to cut flowers right out of the fabric. Yep! You heard me right, the interfacing makes it possible to cut fabric with your Silhouette! Can I hear a "Woot Woot!"? Since this was a hit or miss attempt (as is usually the case with my "crafting") I didn't photograph the process, but it was amazingly simple. After I cut out three flowers in varying sizes, I just gave them a little depth by pinching the back to define each petal. Now here's where I prove I'm not a crafter. I couldn't figure out the best way to keep the pinches in place - sew them? glue them? - so I stapled them. Yes, with a stapler. Ha! But you know, it worked great and it gave each flower the 3D effect I was going for. Then I just hot glued them together with the largest on the bottom and the smallest on the top. They turned out darling! Of course, once I got them finished I realized I don't have the sort of books I wanted to use just hanging around the house (vintagey, small)..so now I'm on the lookout for some. But, once I got the flowers done I thought they were so cute, all kinds of other ideas started flitting through my head...curtain tie backs, pillow embellishments, stuck right to the wall. You get the idea. So I'm posting these cute flowers and asking YOUR opinion...what would you do with them? If you want to make some of your own, you're in luck! Silhouette SD, two rolls of fabric interfacing (clean cut and sewable) and one roll of flocked heat transfer material all for just $229. If you already have a machine they're offering %25 off the interfacing! Just use the code "SHABBY" at checkout. This post was sponsored by Silhouette. The opinions expressed are 100% mine. I LOVE the fabric on those pillows!! those flowers are adorable too! Such a cute idea! I love the prints. With 3 girlies in our house I would for sure make some clips or headbands out of them! EEK! So pretty. They'd probably end up on some kind of art piece around here. Since that seems to be my go-to idea lately. But they'd make any item that they grace...100% cuter! Hair clips and headbands. 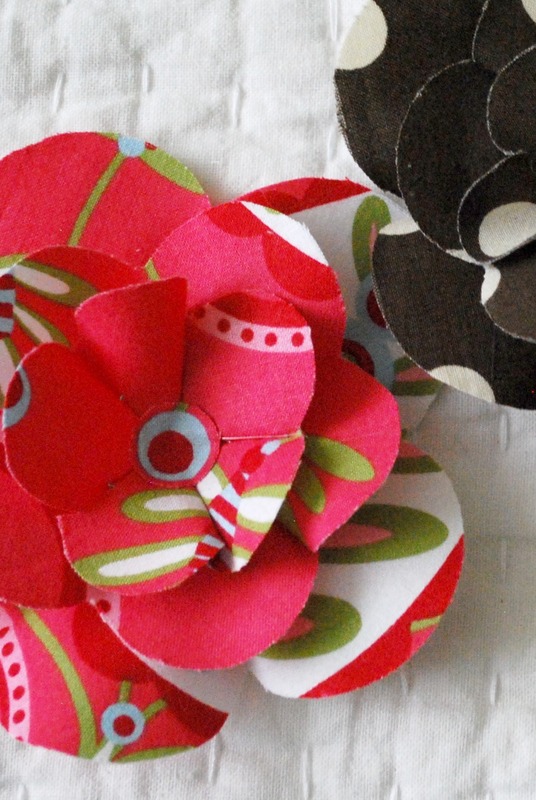 They could be pinned to a sweater, purse or even clipped onto a pair of basic flats! I love them!!! These turned out so cute! I would put them on a pillow, put a pin on them and wear them, I would put them all over my house. I miss that magazine so much!!! You were smart to save all the issues. Can I come over and look through them? Your flowers are so cute. I saved all of my issues of the Mary magazines too, loved 'em! I love them! Very, very cute!!! What would I do with them? I'd hot glue a pin on the back to make a broach and then I'll have a give-away for my followers. (Or I could just send them to the person who suggested this.....). 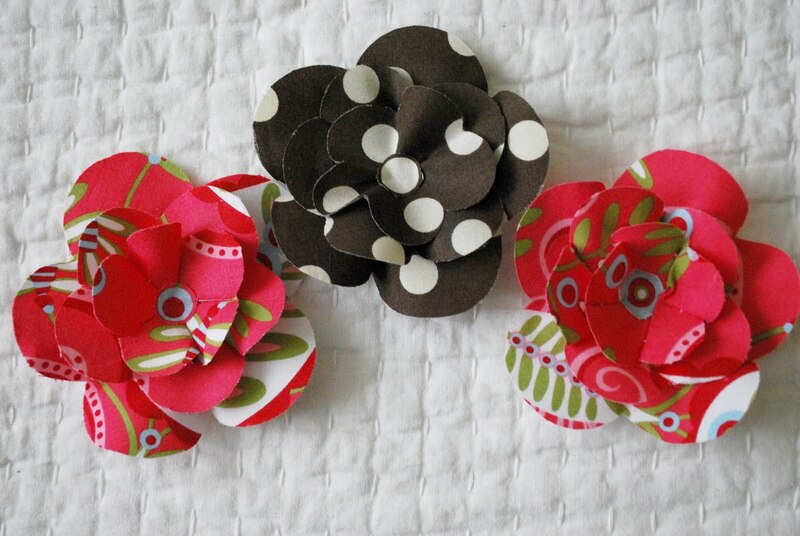 YOU COULD ALWAYS TIE IN SOME CURTAINS AND USE THESE AS EMBELLISHMENTS OR TIE BACKS. those are so cute!! another reason why i need a sillouette!! 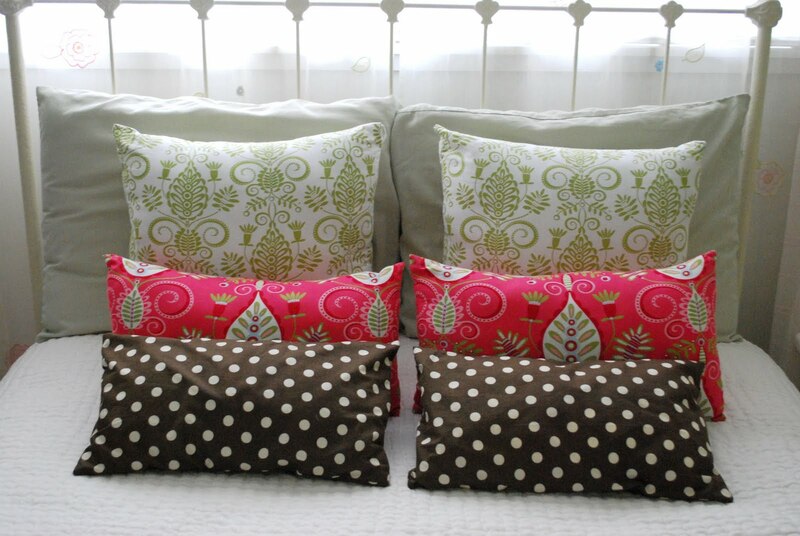 I would put them on the pillows you took them off of to tie them all together!!! or make a white cushion for the room for somewhere else and plaster them all over. you got your craft on good!!! I saved all my ME Home Companions too!!! Miss them SO much!